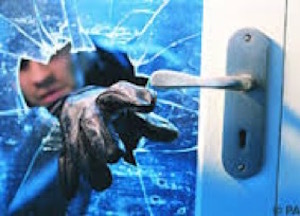 If you are charged with burglary, there are two types of crimes you can be charged with, burglary with intent to cause a misdemeanor, and the other being burglary with intent to cause a felony. With a burglary charge, the government has to prove that you intentionally entered onto the property without permission, with the intent to commit a misdemeanor or a felony. There is also a provisional law related to whether the burglary occurred during the daytime or during the night. Essentially, the penalty is the same. Felony burglary found with the intent to commit a felony holds a maximum penalty of 2.5 years in the house of corrections. If the charge is burglary with intent to commit a misdemeanor, then the maximum penalty is a 6 month house of correction sentence, and obviously you are charged with a misdemeanor as opposed to having a felony conviction on your record. If you are found guilty of felony burglary, you will have to take a DNA test and will have many of the collateral consequences associated with a felony conviction, which will limit job prospects. In Massachusetts, sometimes you can accept a disposition of continuance without a finding, typically referred to as a CWOF, which is technically not a conviction. However, for some purposes even a CWOF or admission will count as a conviction depending on who is running a background check. Depending on the circumstances, criminal defense attorneys may be able to convince the prosecutor to reduce a felony burglary offense to a misdemeanor, so that you avoid the possibility of a CWOF being converted into guilty should you violate probation. While these are some solution’s to resolve a case in the short term, you can also plan to try and resolve the case on a trial date. Many criminal cases are very defensible and it requires the attorney to look at all the details and surrounding circumstances to see if the government can prove, beyond a reasonable doubt, each and every element of the criminal offense of which you were charged. If you have any questions regarding being charged with a felony or misdemeanor burglary offense in Massachusetts feel free to contact Attorney DelSignore at 781-686-5924.